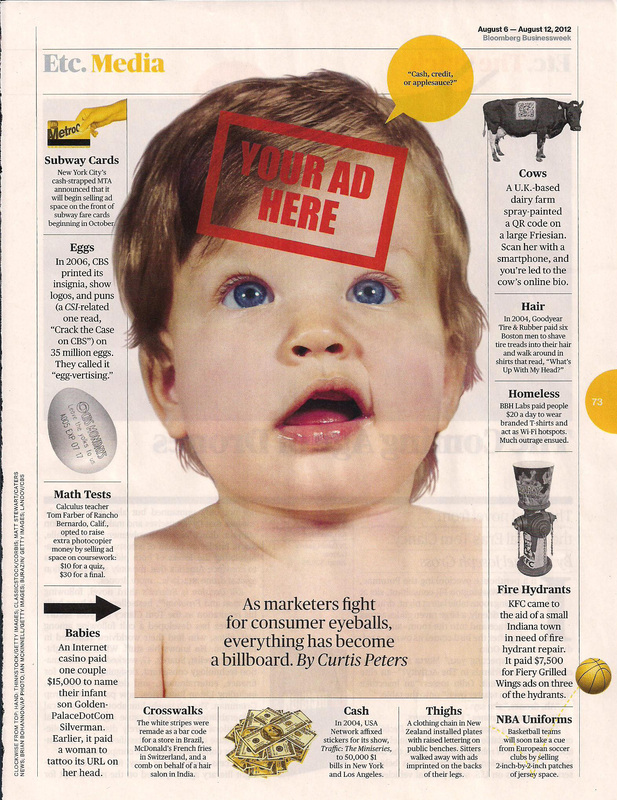 Even my three year old knows of my fondness for Businessweek. It’s one of the few printed items I ask to be delivered to me. And I try to read every issue. Whilst reading I rip out any pages that I’d like to later reference. There is a very thick folder currently atop my desk, filled with such richness. Here are just a few recent gems. There’s a lot of truth in that. (And I’m a marketer.) I do enjoy alternative marketing techniques, marketing that doesn’t look like marketing and just plain fun campaigns. If you ever need help thinking of something different, pick up one of my favorite books for just such an occasion, Outrageous Advertising by Bill Glazer. It’s perfect if you’re not really a “reader;” there are tons of pictures. I think the Etc. section of Businessweek is often my favorite. I subscribe mainly for the technology section, but thoroughly enjoy this light-hearted fare. 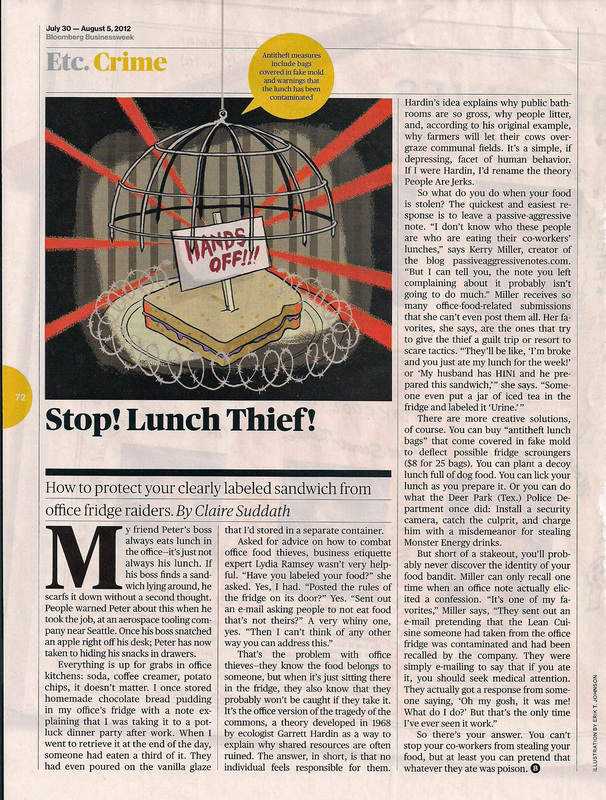 And who doesn’t need to know how to protect their sandwich from office fridge raiders? 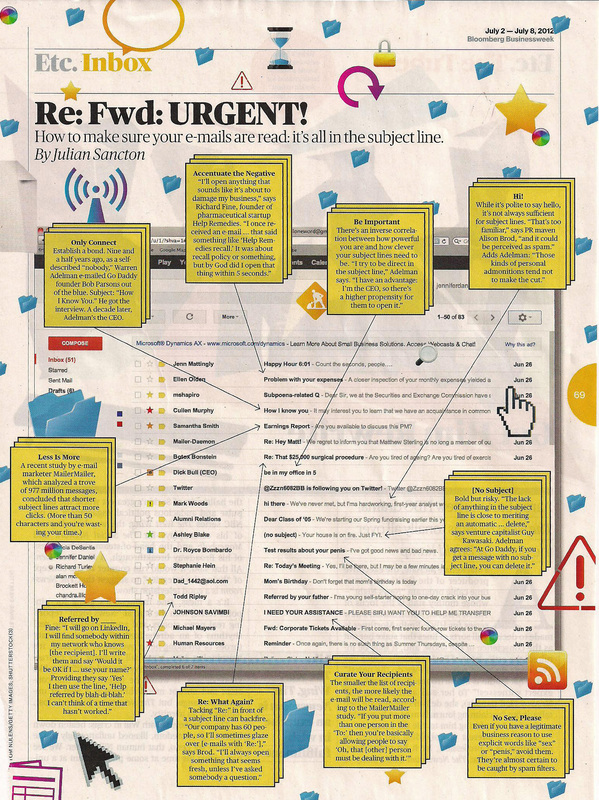 If you read Businessweek you would’ve been among the first to hear about Apple’s iPod plug-in redesign. And who knows how important these auto gizmos may be? 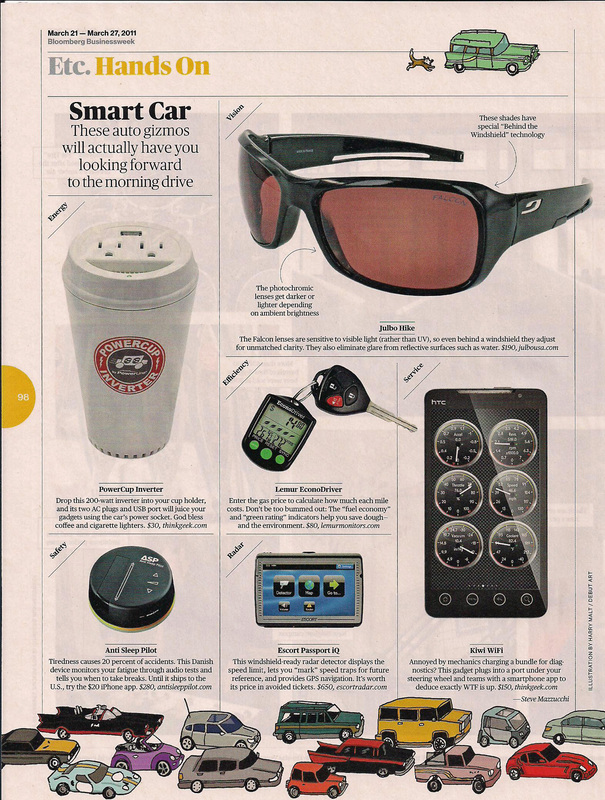 The Power Cup Inverter is a practical charger and imagine photochromic lenses that actually work behind a windshield! The Anti Sleep Pilot? I think I need to pick one up for my husband who more than once has dozed behind the wheel. We’d like to know what you read offline. Please share in the comments below. Are Google Ads Being Clicked Less?